Being a friend to animals sometimes means lending them a helping hand — or in this case, a boot. "This home is on a farm. 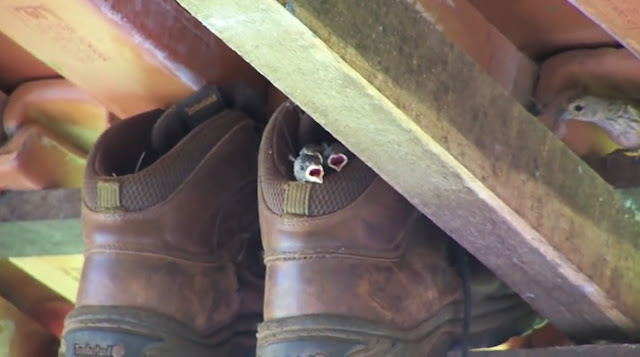 On the farm people have the habit of putting the shoe which is used to working under the roof that is not wet by rain. The Canary took advantage of one of them to make their nest. The shoe's owner saw that the canary had built the nest and left the shoe there until the chicks [could] fly." Responses to "Birds Decide Man's Shoe Is The Perfect Place To Start A Family"